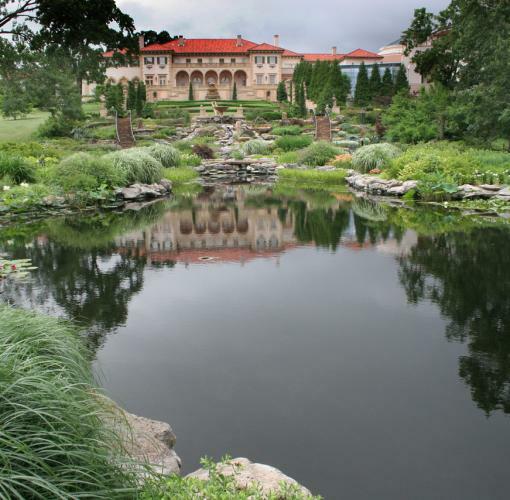 Philbrook Museum of Art satellite location, Philbrook Downtown, is the perfect venue for the work of Allan Houser. The early 20th-century industrial warehouse contains three distinct but interrelated initiatives: the display of Modern and contemporary art and Native American art, as well as a robust research and programming agenda. Two smaller spaces on the main level, the William S. Smith Gallery and the adjacent Irene and Sanford Burnstein Gallery, enable Philbrook curators to freshen the presentation with rotating exhibitions.